So I tried an experiment to see how difficult it would be to turn a ship sprite into a 3d model. It was actually pretty easy. Did you use a voxel program or a 3d modeller? 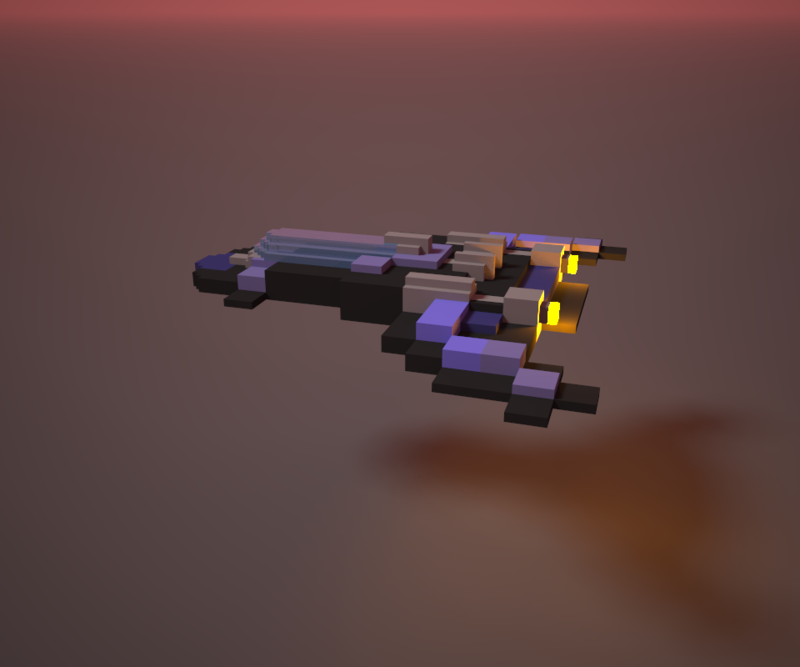 I used MagicaVoxel. Imported the .png, rotate on the X. Basically just used the Color Detection/Face Attatch to build it up. You might need to do some color filling/swapping depending on how much Body Noise you have. You could also just export it out as an .obj into whatever you might use for 3D.I think it took less than an hour.